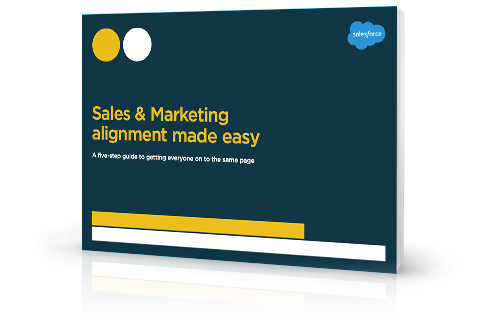 Sales and marketing have been at loggerheads for so long that their unresolved tension has spawned an entire industry. But does it really have to be so hard? We don’t think so. As long as you do a few things right, the process of easing buyers along the journey from unknown to lead to prospect to opportunity to sale should be a breeze. And it’s not all about fancy CRM and marketing automation (though they do help!). This e-book is about those few things. Five of them, to be exact. And they’re things that you can start doing right away. If you missed Dreamforce this year, we’ve got you covered. In this e-book, you’ll discover the ten major breakthroughs for Sales Cloud — and how they will enable the sales team of the future. Explore enhanced capablities, loads of new features, new mobile apps and a seamless user experience. Welcome to the sales success platform, reimagined for today’s sales team.